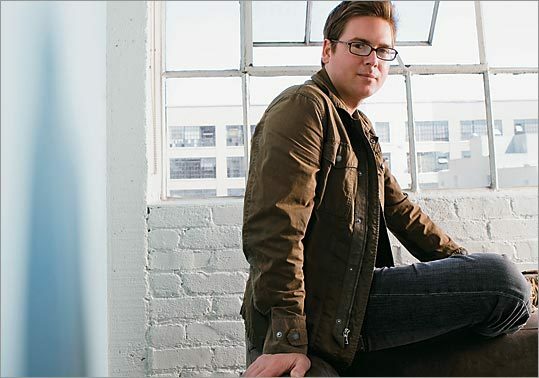 Wellesley High grad Biz Stone, 34, who took texting to another level by cofounding Twitter.com, lets us in on what he's up to -- this time without a 140-character limit. You cofounded Twitter.com with venture-capital money back in 2006, and it still isn't turning a profit. In November, the company declined Facebook's offer to buy it for $500 million. Say what? We admire and respect Facebook. We are big fans, actually. They approached us, and we took it seriously. But we feel like we want to continue this path we're on -- sustaining this innovation -- and the time is not right. But why not take the money and run? I guess we have a lot of things we think we can prove. We're thinking really hard about sustainability and revenue and about developing the technology and seeing it taking off. The 2008 presidential election was Twitter's biggest day ever. Do you think the technology impacted the election in a positive or negative way? We expected it to be big, and it was -- activity was up by 500 percent. Both [Barack] Obama and [John] McCain twittered, and we had a special election news page set up for all the tweets. Someone called this the first "two-screen" election -- people were glued to their televisions and the Internet, reacting to the debates and then the election as they happened. I feel like we helped change democracy to real time. It's pretty cool to invent a technology with its own set of descriptive terms. People "twitter" and "tweet" and . . . Someone came up with the word "twoops" to refer to a message you meant to text your friend, but you sent it to Twitter by accident. Has the technology been used in unexpected ways? One of our users is a photojournalist who was arrested in Egypt. He had time to grab his phone and text just one word -- "arrested" -- on Twitter, and the 100 people in the States following his feed knew he was in trouble, got to his embassy, and had him out in a matter of hours. You helped create Blogger, which now seems positively old-fashioned and verbose. Will blogging survive Twitter? I still blog, but I do think blogging will become obsolete as there are more ways of interacting on the Web, with low barriers to entry for people to engage and participate. You follow fewer than 200 or so people on Twitter, but more than 23,000 people follow you. You send out a few tweets a day -- about a tasty vegan cheese, or going to the San Francisco Opera to see La Boheme. Not exactly big news. Oh, I only have all those followers because I work at Twitter. I send updates a few times per day, at most. I think when people twitter 20 or 30 times per day, that's too much. They are boxing everyone else out, and people stop following them because they need a break. A few months ago, a Colorado journalist and his newspaper received nationwide scorn for twittering from the funeral of a 3-year-old boy. Is there Twitter etiquette? My personal view about how people should use Twitter is less relevant than our goal to provide the infrastructure for a new kind of communication, and then support the creativity that emerges. Where will Twitter be in five years? It will always be about providing access to a communication network through the lowest common denominator. A farmer in rural India isn't going to have the Web any time soon, but he can send out a text asking his network how much are they getting for their grain, and get an answer back from a few people, and maybe not get as screwed by a wholesaler. What about naysayers like Globe columnist Alex Beam, who dismissed Twitter as a "paradigm-changing technology that can safely be ignored"? Well, I've heard a few anecdotes about folks who previously scoffed at Twitter turning hungrily toward our special election coverage. It's the pulse of what people are thinking about.